Are you interested in checking out a fully redesigned version of the popular Toyota Corolla? Come by Charlie's Toyota and we will help you see how this compact car has been changed and all of the ways that it will fit with your life. The 2020 Toyota Corolla features a lower design than previous models of this car. This vehicle sits closer to the ground and that gives it a whole new look. You will be impressed with the stylish design that this compact car offers in its redesigned version. 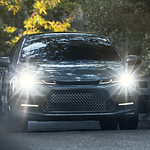 There are new safety features that are standard features in the 2020 Toyota Corolla. If you are looking for a vehicle that will help you stay safe on the road, you will be impressed with the technology that this vehicle uses to offer you help in your driving. One of the standard features included with this vehicle is Road Sign Assist.